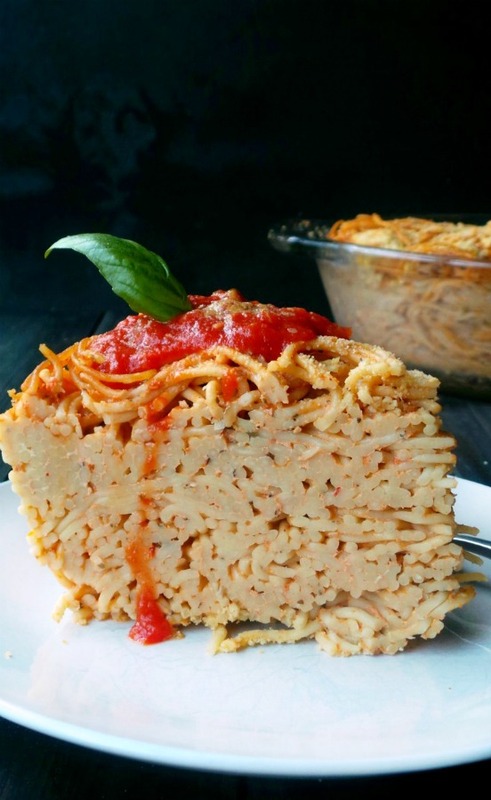 Baked spaghetti pasta with creamy tofu ricotta and tomato sauce swirled inside, creating an impressive Vegan and Gluten-free Deep Dish Spaghetti Pie. 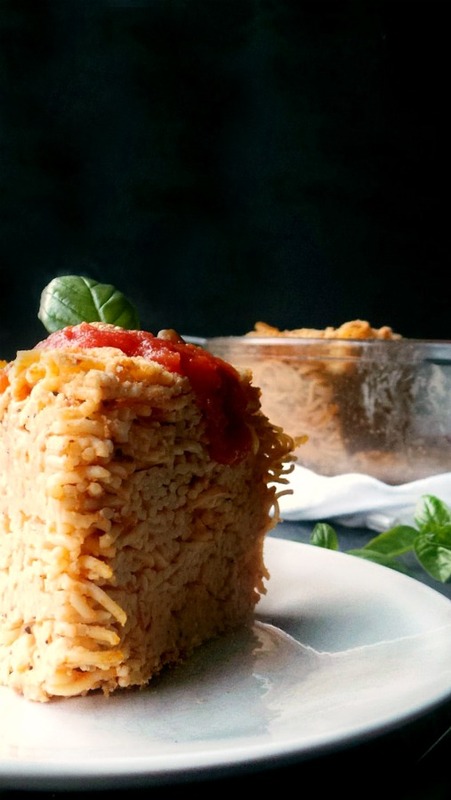 Change up your boring routine with this Deep Dish Spaghetti Pie. 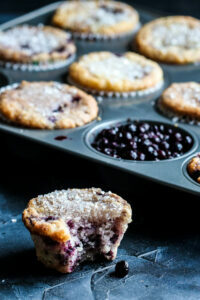 Have you ever gotten yourself into a cooking funk? And my “funk” I mean it’s been weeks since you actually cooked (Take-out it is!) OR simply rotate the same 5 or 6 recipes for weeks at a time. We’ve all done it, myself included. In fact, there was a time that our dinners were almost clockwork because it just made it easy. Anything Goes Sunday (or some may call it “Smorgsaborg Sunday”). Kinda funny, right, especially for a food blogger, but it created a schedule that I really needed at that time. Then I started playing around with the days, keeping with the theme, but expanding on it. For instance, Taco Tuesday basically became our Mexican theme night which included enchiladas, fajita, taco casserole, and quesadillas. Weenie Wednesday turned into our easy food night, since we had the least time margin that day. It still included our tofu dogs, but sometimes we chopped them up in our veggie beans and made “beanie weenies”, other times, I simply made a soup or crock pot meal. Again, it was EASY foods. Spaghetti Saturday became our pasta or Italian theme night and started incorporating all types of pastas and lasagna, gnocchi, soups, and these Spaghetti-stuffed Peppers from Vegetarian Mamma. Then came the idea of Deep Dish Spaghetti Pie. Years ago, while living in Baltimore, I had actually eaten a slice of spaghetti pie at a local restaurant and thought it was so creative at the time. Basically cooked pasta, mixed with sauce and layered in a pie pan, then sliced and served. It was so good! 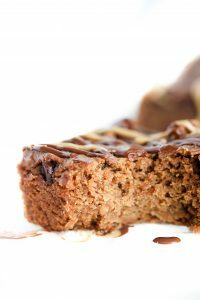 However, I wanted to take that up a notch and create a deep dish version, with cake size servings and impress the family, like I had been all those years ago. 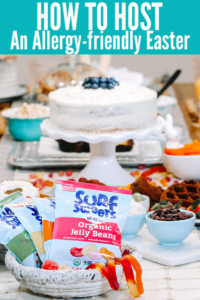 The good news is, you can impress your family or guests with very little work because not everyone has the time margin to slave in the kitchen all day long (although we all secretly want to make all those recipes we’ve “PINNED”, right?). If you have more time, go ahead and make your favorite pasta sauce and if you have very little time, grab that jar of organic sauce out of the pantry and use that instead. Both will turn out great. 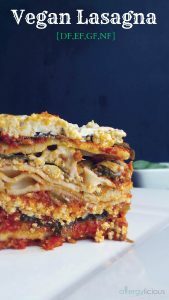 However, I will say that my favorite part of this recipe was using the tofu ricotta mixed into the pasta before baking, so if you are short on time, make this and use the jarred sauce because you don’t want to leave this out. Have a gluten allergy? Use your favorite GF pasta but be sure to cook to al dente so it doesn’t get too mushy. Soy allergy? Opt out of the tofu ricotta and go with a traditional or cashew based ricotta. Vegan? Well, this is already vegan so your covered since it is dairy-free, egg-free & meat-free. Not Vegan? You won’t be missing the meat at all! Want it more saucy? Don’t wait until the end to top with sauce, add some in your tofu ricotta mixture and bake away, then add more on top when serving. See, totally versatile and allergy-friendly! And isn’t it just so pretty too? Do you have any “go-to” meals that make dinner time easier? Do you do weekly meal planning? I’d love to hear your response below. 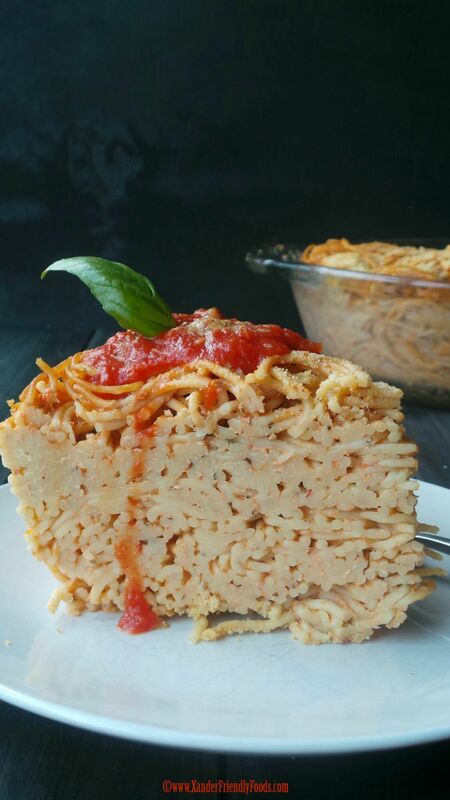 Impressing your guests with pasta couldn’t be any easier then now with a serving of this Deep Dish Spaghetti Pie. Preheat oven to 300 degrees. Coat your round casserole dish with olive oil, sprinkle with bread crumbs if using and set aside. Make or heat your sauce and let simmer. – In a small bowl, crumble tofu. Add lemon juice, garlic, nutritional yeast and spices. Use a potato masher to blend it all together until it resembles ricotta. Make pasta “al dente” (it’ll still cook in the oven, so we don’t want mushy noodles). 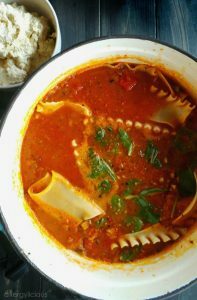 Drain pasta but return to pot and stir in the tofu ricotta and at least 1 cup of pasta sauce. Place pasta mixture in your prepared casserole dish and top with additional bread crumbs. Cover with aluminum foil and bake 30 minutes. Remove foil and bake an extra 10 minutes. Remove from oven and let sit 5 out at least 5 minutes to allow for easier cutting. 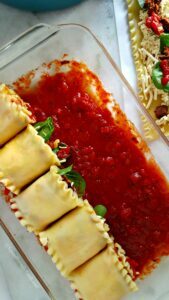 Check out some of our other favorite Italian-themed vegan and allergy-friendly recipes.